Let’s address the elephant in the room shall we? No, not the fact that Steven Soderbergh shot High Flying Bird entirely on his iPhone just like Unsane. It is the question of how do you make a movie about basketball that doesn’t actually feature anyone playing basketball? Safe to say it is a huge risk. Like attempting a game-winning, buzzer-beating shot from inside your own half. High Flying Bird takes place over 72 hours during a “lockout”, where the NBA team owners and Players Association fail to agree terms, resulting in no games being played. Agent Ray Burke attempts to “play the game on top of the game” in order to end the lockout by orchestrating a situation so risky it could end his and his client’s career. However Andre Holland’s Ray Burke is what Jerry Maguire would have been if he hadn’t eaten two slices of bad pizza, gone to bed and grown a conscience. He is, in basketball terms, running a full court press. Covering every inch of the court to make sure that he is the one that comes out on top. Constantly working all the angles. Meeting players, rivals, the players association and owners. Holland (Moonlight) is magnetic in the role. Oozing charm but also tough and direct, he is like Magic Johnson and Larry Bird. The film itself does not feature any basketball as the real game is being played off the court. It does not matter however because when the stakes are this high and the skill is just as great, you don’t even miss it. 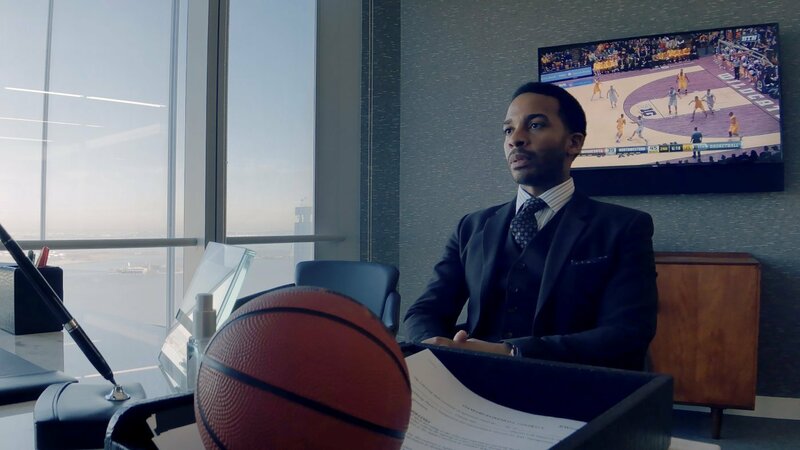 High Flying Bird is easily the best film about sports since Moneyball and a complete slam dunk for Soderbergh who is having a much more significant and successful return from retirement than Michael Jordan!